ALCATEL ONETOUCH continues to quietly expand its international reach amongst mobile phone providers with the announcement that the company plans to launch its flagship Idol X and Idol Mini smartphones in Canada. The Idol product family will be available in Canada through Bell and Virgin Mobile Canada in the coming weeks. The smartphones will be sold online at Bell.ca and VirginMobile.ca as well as at Bell and Virgin Mobile Canada stores, The Source locations and select retailers in Canada. 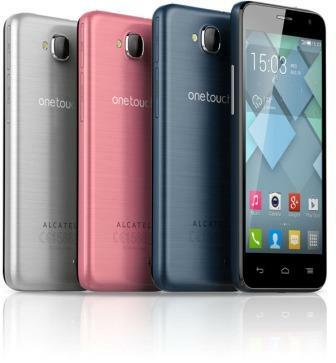 ALCATEL ONETOUCH is a brand within TCL Communication, a mobile and Internet device development company. Although not particularly well-known outside of the industry, TCL-Alcatel is the world’s 6th largest mobile phone vendor. The company has plans to expand its market share, following its strategy of delivering a range of mobile devices through global carriers and partners. North America is a particular focus for the company. “This Canadian launch is a major step in ALCATEL ONETOUCH's continued growth in North America," said Steve Cistulli, senior vice president of North America for ALCATEL ONETOUCH. Bell and Virgin Mobile Canada will offer ALCATEL ONETOUCH smartphones Idol X and Idol Mini smartphones in Canada later this year. ALCATEL ONETOUCH has refined its products to compete in the demanding smartphone marketplace, and the Idol family has received good reviews in the industry. “It's a powerful smartphone keeping up with the flagships of 2013, but with a low cost that should see it go up against the Motorola Moto G in terms of price,” writes Stuart Miles of Pocket-lint in a recent review of the Idol X. The company is pricing its products with an eye on its global expansion plans as well. “The Idol X+ is expected in the United Kingdom in the first quarter with a price that is aggressive enough that it makes people stop and wonder why they are paying top dollar for the latest flagship handsets,” Miles concluded. The Idol X recently was awarded the 2013 GOOD DESIGN Award by the Chicago Athenaeum Museum of Architecture and Design in cooperation with the European Centre for Architecture, Art, Design and Urban Studies. The phone offers a 5-inch 1080p full HD IPS display, with an edge-to-edge design that maximizes the touchscreen and viewing experience. The phone has a 1.5 GHz quad-core processor, 13 MP camera, MicroSD slot for up to 32 GB of storage and operates on Android 4.2 (Jelly Bean). The Idol Mini is the smallest member of the Idol family with a 4.3-inch touchscreen and 7.9-millimeters thin body. 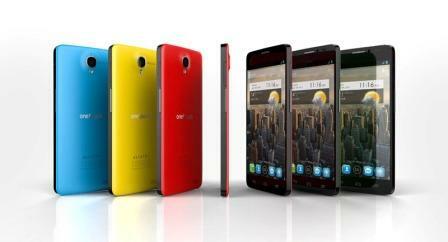 It has a 5 MP camera, 1.3GHz dual-core processor and uses the Android 4.2 platform.